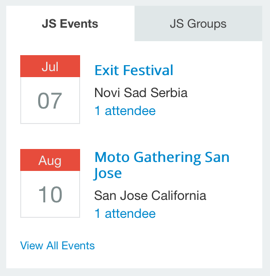 Module to show upcoming events in your community. Display - Select what kind of events to display. Upcoming Events will display all events that logged in user can see. My Events will display only those events user joined or created. Filter by - Select the criteria to filter events by. All Available events that user can see. Featured only will strictly show only featured events following the "Display" criteria. 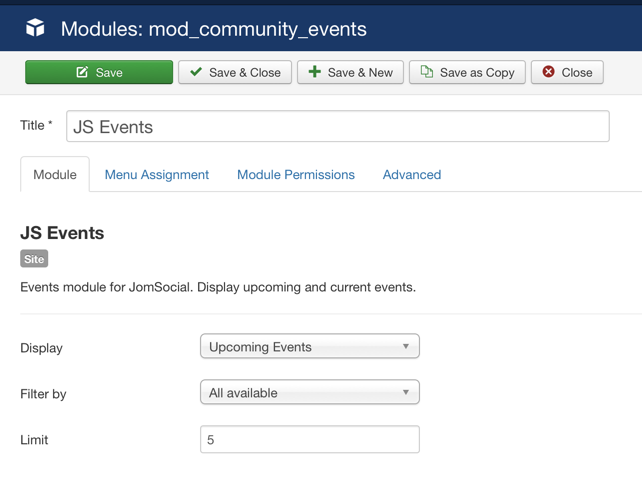 Limit - Number of events which will be shown in the module.